Residents at a seniors housing co-op are fuming after receiving incorrect voter information in the mail for the June 12 provincial election. “It was a big upset within the building,” said Pat Moreau. She said the notice of registration card from Elections Ontario arrived last week at her home near Merivale Rd. and Kirkwood Ave.
“We had been told that we would be voting in our own senior’s building,” said Moreau but when the notice arrived, they found out otherwise. Residents in the 43-unit home at 1435 Larose Ave. have instead been instructed to vote at St. Elizabeth School, with an address listed as 570 W. Hunt Club Rd., about 7 km from their residence. “People said, ‘well, we’re not going to vote,'” since the location is too far, Moreau said. But the correct address for St. Elizabeth School is 1366 Coldrey Ave., about 800 metres – and within walking distance – from the seniors co-op. The Ottawa Catholic School Board is headquartered at the W. Hunt Club address. “Even if a senior was able to get all the way out to W. Hunt Club, they would not be able to vote there,” said Moreau. An online search at the Elections Ontario website using Moreau’s address yielded the correct coordinates for the school. Moreau said she contacted the office of the candidate she intends to vote for, and has since been told new cards will be delivered by Elections Ontario. What irks her more, though, is the possibility there are more voters in the same situation. “How many mistakes have they made that we’re not aware of, and how much money is this going to cost us?” asked Moreau. 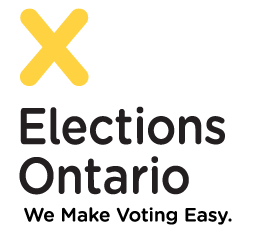 Elections Ontario staff confirmed the error Monday. The notice of registration card sent on May 21 to 46 voters at 1435 Larose Ave., Ottawa, contained an incorrect address for a poll location at St. Elizabeth School, reads an e-mail statement sent by spokesman Peter Berry. “The correct address is 1366 Coldrey Ave. We apologize for the error and appreciate the Ottawa Sun helping us to ensure voters know where to cast their ballot,” Berry wrote. They’re working with the Returning Officer in Ottawa West-Nepean “to ensure that voters are fully informed of where, when and how they can cast their ballot,” wrote Berry. Visit wemakevotingeasy.ca for information or call 1-888-668-8683.